At the core of improving processes and building efficiencies is better organization and management of the data used in processes throughout the product lifecycle, an effort that can be complex and challenging under the best of circumstances. DIA’s Regulatory Submissions, Information, and Document Management (RSIDM) Forum provides the elements needed to meet the challenges of optimizing the efficient use of regulatory information: the RIM principles, effective processes and tools, benefits to data applications across the product lifecycle, and examination of real-life results. 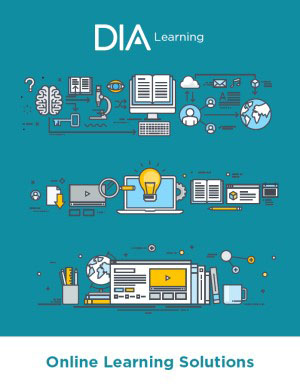 DIA will present four tracks and daily health authority plenary sessions to provide a comprehensive view of content and regulatory information management and submissions. All tracks are supported with daily plenary sessions providing regulatory intelligence updates by health authority representatives from FDA, Health Canada, and other regions of interest. This Forum provides multiple opportunities for networking, knowledge sharing, and education for both business- and technology-focused attendees. What's New in Regulatory Affairs? Gain exclusive access to our recently released eBook detailing the world of regulatory submissions, information, and document management while also providing key facts about the upcoming forum.